Bonnie and I are in France for the next two weeks. 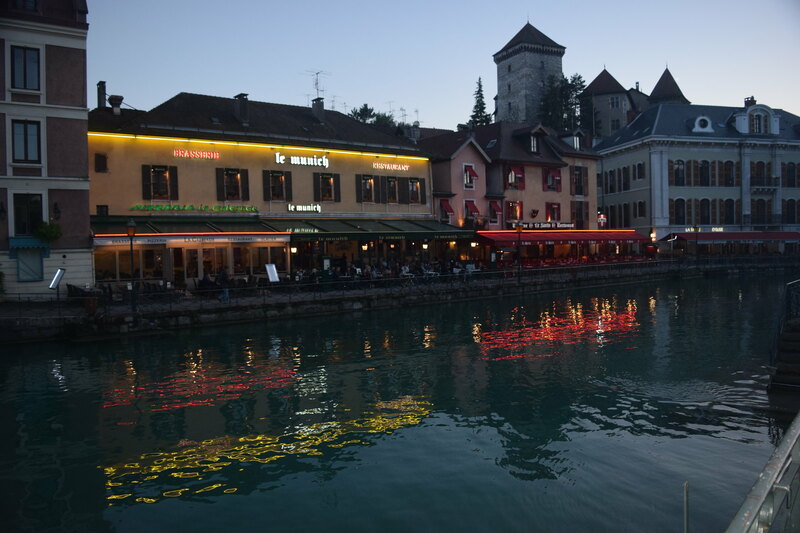 We have been in Annecy for the past few days and enjoying every minute. Except when the voice on the car's GPS didn't say anything about the direction of an upcoming Y in the road until the last second. By the time she said it and I obeyed it, I had to cross over the solid white line that divided the two paths. We followed the path which took us on a sharp turn that took us up to an overcrossing. We had to slow down because of several cars ahead of us. When we got the the top, two policemen were walking across the street and when it was our turn, they motioned us to pull over onto the sidewalk. He wanted my license, car registration, insurance, and my passport. He said he was watching from up above and saw me pull across the solid white line. I told him, "I know, but the GPS lady didn't tell us anything until we just got there." He said those things tell you of stuff half a mile ahead. I said, "Not this one!" I think he could sense my frustration because he let me go with a warning instead of the $100 fine. We ate at the La Galejade restaurant tonight. We had some local dish called escalope savoyarde. This is "gratinated chicken in the oven with reblochon cheese" served with french fries. It was delicious. The view of the Le Thiou river was captivating. For most of the day, we had a storm going through. 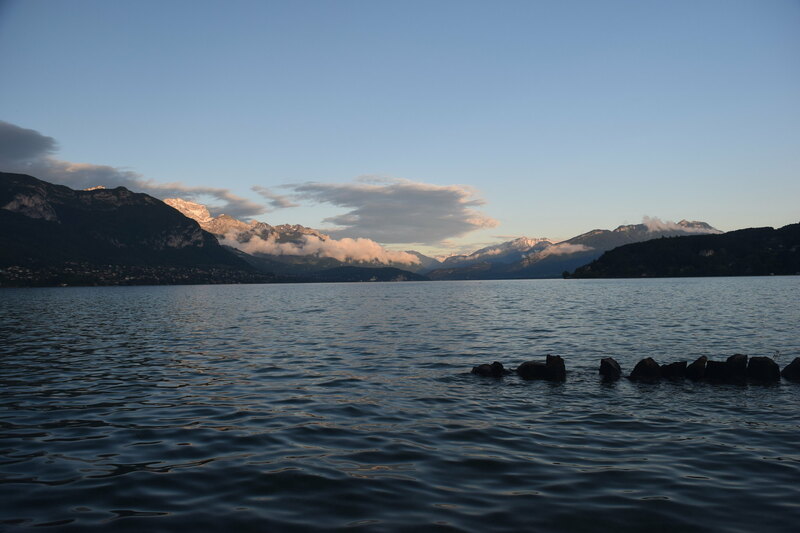 Around 8:00 pm the sky cleared and we got some great pictures of Lake Annecy with the Alps in the background.